Regarding the Financial Planning, there are many myths in the minds of the common investor public. I’m trying to discuss some of these here. This is the Fifth & Final Article in this series. Compounding is useless. It’s for poor or old fashioned not for us the younger generations. We can turn the things our way as & when we want to. There is no substitute of compounding. Yes compounding is very dull & boring. Let’s try to understand it with this example. Just imagine if I ask you to put 1 Rs. in an square of a chess board & there after asking you to put, simply double the money in next square. Do you know what ‘ll be the result, at the end of all the 64 squares? Please look at this table to know the answer. Now what this boring table indicates? This is the power of compounding that by the time, you reach the 46th Square, you have already surpassed the Budget amount for whole of India to be spent by Govt. of India. You are still 18 more squares to calculate. Should I or you calculate any more? No it’s not required, I think. I hope, the very basic concept of Compounding is clear to you. If you give time, the money ‘ll grow on the basis of compounding. Please do not jump the gun. Take small steps, baby steps. Life is all about starting small. I know you are agree & now want to start your financial planning now. A word of caution here. “Over enthusiasm can actually do more harm than your inertia to take any action.” Let me explain a bit. Before planning anything, should you not check that there is water with you or not? Now as you have checked with yourself, that you are having the water & want to conserve it for your own betterment as well as for your family, your near & dear ones. The intention is not to make you a professional but an informed person who can make informed choices regarding his/her financial life. This is the last article in this series. So what’s your take on this article? Can you face your own Myth for ‘Compounding is Nothing’ now? Can you now face some or all your Myths related to Financial Planning or Personal Finance? Regarding the Financial Planning, there are many myths in the minds of the common investor public. I’m trying to discuss some of these here. This is the Fourth Article in this series. My friend/uncle/neighbour/broker…… know some tricks/tips/shortcuts & on acting these I can mint a lot of money. NO. There are no shortcuts for a good financial life. Slow & steady wins the race. The initial burst may create an illusion that you are doing good but at the end of the journey you ‘ll realize that you were not doing good at all. One more old known story here. 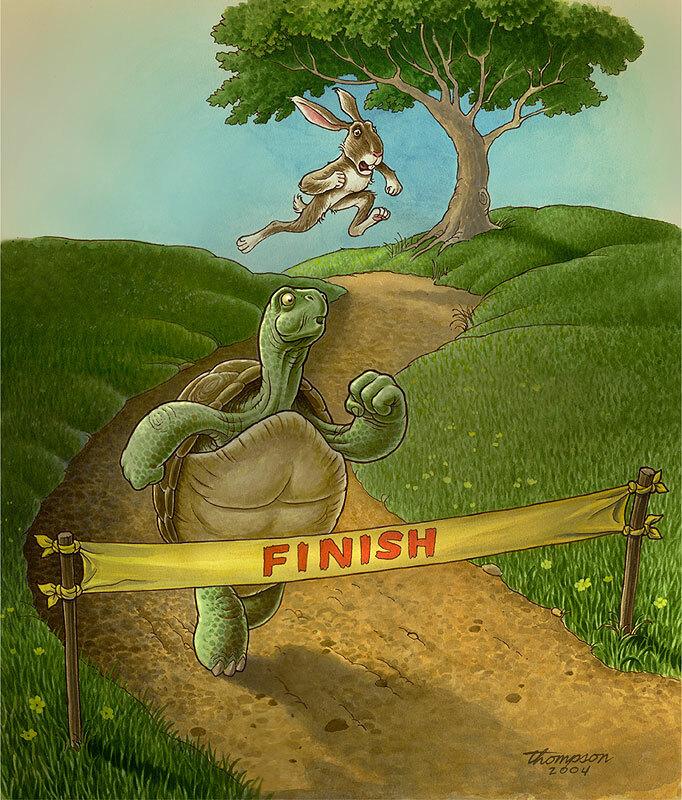 At the start of the story, the Rabbit was clearly in lead but the Tortoise, kept working hard & what was the end result? We all know it. Same is with your financial life. The person working on such tips/shortcuts may get ahead but in the long run, only the TORTOISE ‘ll win. So what’s the lesson here for you. Start small & simple but keep doing it without fail. the fruit of your hard work ‘ll come to you. So what’s your take on this article? Can you face your own Myth for ‘Need of Tips & Tricks’ now? Regarding the Financial Planning, there are many myths in the minds of the common investor public. I’m trying to discuss some of these here. This is the Third Article in this series. I need a perfect product/insurance policy/portfolio/MF for my financial planning. There is nothing called perfect. All of us pay too much attention to be perfect but forget the core thing. Nothing is Ideal or perfect in this world. No matter how hard you try to get perfectness, critics ‘ll still find something here or something there missing in you. Do not believe me. Just check the lives of so many stars. Amitabh Bachchan, Sachin Tendulkar, Mahatma Gandhi & many more. Can you say with 100% surety that all these stars are perfect? Let me share you a story here. Some of you may be already aware of it. 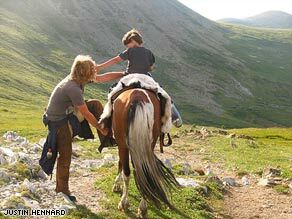 Once upon a time, a father & a son were riding a horse & going somewhere. The duo decided accordingly & Son started walking & father sat on the horse. The duo listened & decided that both should walk. After few miles down the path, final comments made to the duo. Story ends here. I do not know what the father son duo did after that final comment but can you draw a parallel from this story to your own financial planning? There can not be a common perfect situation or perfect thing for all of us. 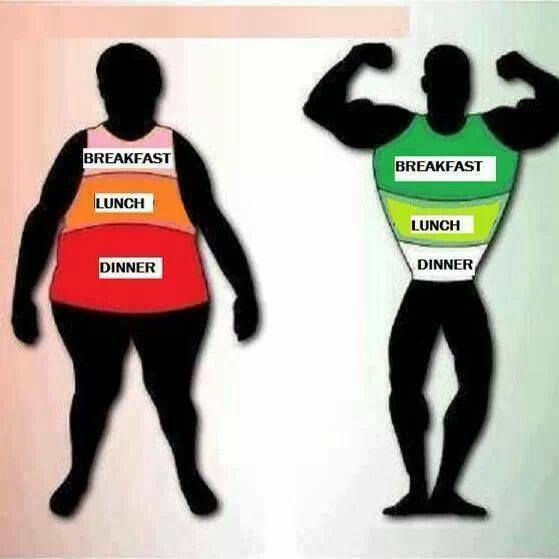 The requirements of each of us are different. So instead of focussing on a perfect thing, we should act on what is good for us. This Good can be merely good, can be better or can be the best for us. The important thing is, take a decision. Not taking a decision & waiting endlessly for a perfect thing is not going to help you. If you wait endlessly for that perfect thing, actually you are missing the chances to convert simple things into perfect for you. So what’s your take on this article? Can you face your own Myth for ‘Need of Perfect Thing’ now?